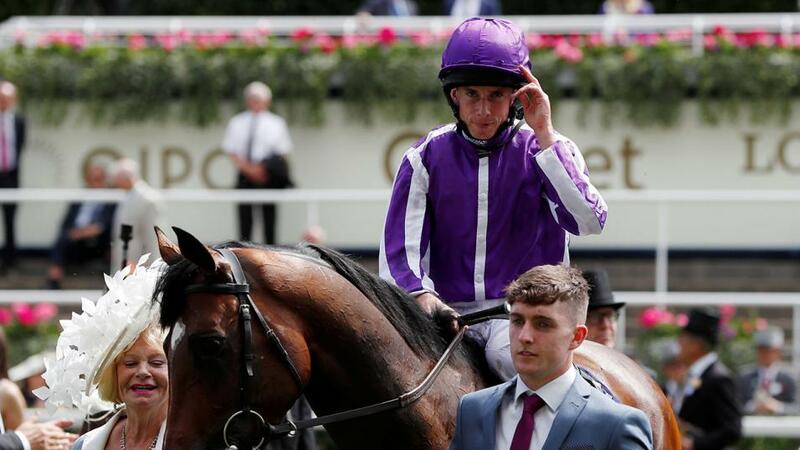 How will Ryan Moore get on at this year's Ebor Festival? "Of course, everyone would have loved to have seen Saxon Warrior progress a touch more than he has from his Guineas win, but a Derby fourth, a narrow Curragh third and a hampered neck second in an Eclipse, just a week after his Irish Derby run, is hardly the stuff of disappointment." I think this Group 3 is there to be won for any of the eight in here, to be perfectly honest. I obviously rode Watan to win on his debut at Goodwood, beating an experienced stablemate in second, and he will certainly improve for the experience and the extra furlong. He took a while to get a handle on what was required there. I ride Broome though and, like so many of Aidan's, he left his debut run well behind him when beating a fair maiden at Galway last time. He steps down a furlong or so here, and it is hard to gauge whether that will be a positive or negative on the available evidence, but at least we know he is a guaranteed stayer and his Galway form gives him as good a chance as any, as it stands. He has plenty of nice entries and is an interesting colt, and I think it's a winnable race, though I liked the look of Phoenix of Spain when he made his debut at Sandown. He took a fair while to pull up there, and he won easily last time. We were keen to take our chances with him in the King George, but Aidan wasn't quite happy with him before Ascot, so we had to sit that one out. It was disappointing as it would have been good to see what he could have done there given the progress he made in winning the Queen's Vase and his Group 1 win in France, where I thought he got the job done in an understated but impressive manner from an unexposed and improving runner-up. Of course, he carries a 5lb penalty for the Grand Prix de Paris win, which is far from ideal. But he has looked a better horse since relaxing and easing into his races, and I like him. Giving 5lb to Cross Counter will not be easy if he is as good as he looked at Goodwood, though - he may have had the run of the race but I wouldn't be in a rush to downplay that performance - and Aidan's other three are not no-hopers. The Pentagon probably ran close to a career-best when fifth from off the pace in the Irish Derby, and it wouldn't surprise me if he went well. If Poet's Word runs to the form of his Prince of Wales's or his King George wins at Ascot, then he will take all the stopping. He has developed into a top-class colt, and his progression and recent victories mark him out as the clear one to beat in here. He is tough and straightforward. But this is a very deep race, with seven of the eight runners Group 1 winners, and the other is a last-time-out, course-and-distance Group 2 winner who has been supplemented. The Godolphin pair of Benbatl and Thunder Snow are proven in this grade, and there is clearly nothing between my colt and Roaring Lion from the three-year-old challengers. Yes, Latrobe won an Irish Derby and Without Parole a St James's Palace Stakes - we could be in danger of underestimating Latrobe but the step down in trip may not be ideal for him - but I think the closely-matched Eclipse pair bring the best form from the Classic division into this race. Of course, everyone would have loved to have seen Saxon Warrior progress a touch more than he has from his Guineas win, but a Derby fourth, a narrow Curragh third and a hampered neck second in an Eclipse, just a week after his Irish Derby run, is hardly the stuff of disappointment. And if you fancy Roaring Lion, then you have to give my colt an equally big shout. It wouldn't surprise me at all if Saxon Warrior ran another big race after his break, but Poet's Word sets a pretty high bar to aim at. I genuinely do think there are maybe six possible winners in here, though.